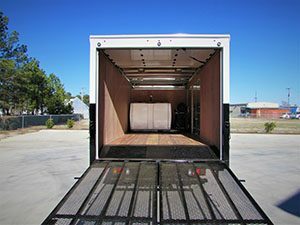 Graham Spray Equipment expanded its offerings with a new, fully enclosed box truck. The 18-foot truck gives lawn care companies the ability to treat properties up to 10 weeks longer, according to Graham. The truck provides ample storage space and easy access from the side and back doors to tanks, hoses and cargo. Additionally, the exterior allows a company to prominently display its name, logo and contact information. It can be outfitted with a variety of Graham spray units configured to customer specifications, such as single, dual and split tank options; mechanical or jet agitation; and multiple hose reels.